This year APOPO was invited to present its work and other activities during the celebration of Bastille Day in Phnom Penh organized by the French-Cambodian Chamber of Commerce and Industry (CCIFC) in collaboration with the French Embassy in Cambodia. H.E. 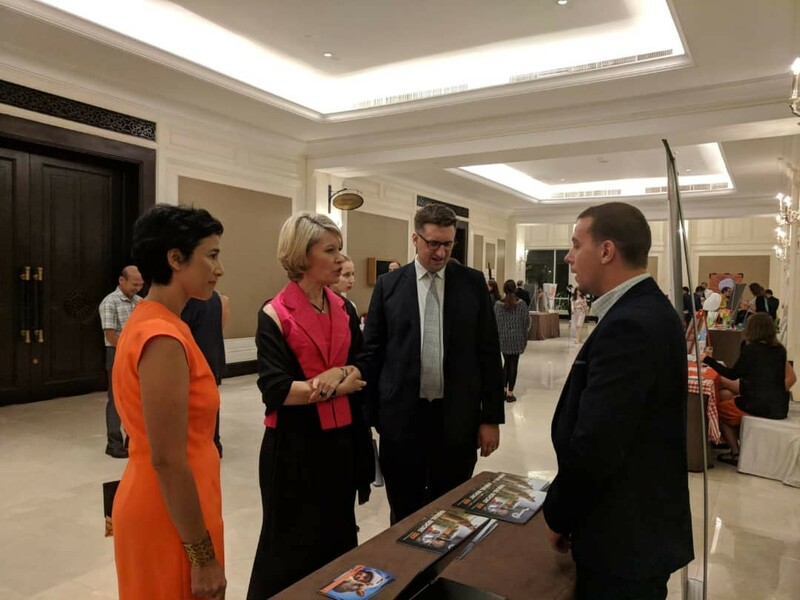 Eva Nguyen Binh, French Ambassador to the Kingdom of Cambodia, Anne Genetet, French member of Parliament and Guillaume Massin, President of the French-Cambodian Chamber of Commerce were inspired by the work of APOPO in Cambodia and around the world. Bastille Day is the national day of France, which is celebrated on July 14th each year. The event is opened to all French nationals residing or traveling in Cambodia, but also to the general public who want to taste a bit of France for an evening in a festive atmosphere. As in previous years the CCIFC invited a number of French NGOs (as well as organizations that hire French nationals) that provide social and educational services to the Cambodian people and whose contribution is fully recognized by the highest Cambodian authorities. Every year, hundreds of French nationals come to Cambodia, sometimes to the most remote places, to offer a hand and contribute to the Kingdom’s socio-economic development. 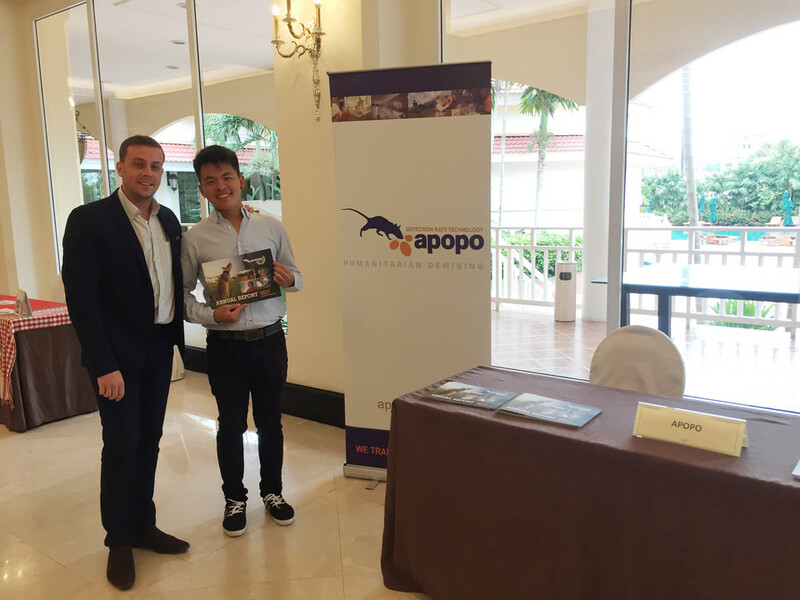 Benjamin Carrichon, APOPO’s Cambodia Visitor Center Manager and Jia Hui Lee, PhD student at Massachusetts Institute of Technology in the US, represented APOPO during this event that hosted over 1000 guests.